The Eagles’ Jalen Mills and NBA prospect Devin Robinson fought outside a club as their respective sporting clans jeered them in spirit. The sporting rivalry between the adjacent cities of Philadelphia and Washington, D.C. doesn’t hinge on whatever sport’s being played. If you rep “Philly” or the “DMV” as a sports fan, the expectation is that you rep all the sporting franchises in a package deal – that extends to the athletes themselves. Two sports figures representative of those fractured lines did battle last night, in the midst what’s supposed to be a calm “offseason stretch” for the Philadelphia Eagles and their NBA counterparts, the Washington Wizards, who ended their season in the unenviable 11th position in the Eastern Conference. 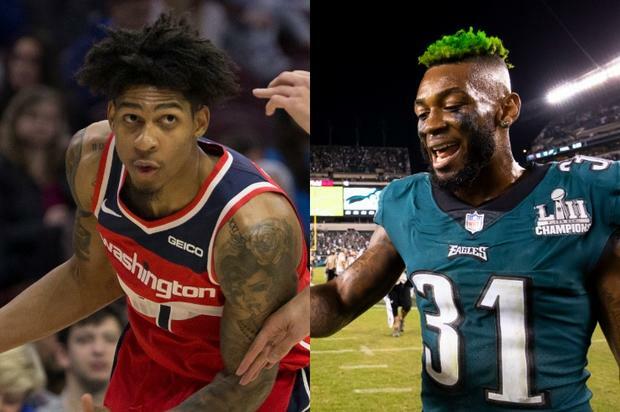 It just so happens that Jalen Mills of the Philadelphia Eagles and Washington Wizards’ forward Devin Robinson were at the same nightclub last night in the nation’s capital. Unfortunately, they didn’t make nice in a party-party setting. After being cuffed and escorted from the premises, both athletes were booked and arrested, Robinson after receiving treatment at a nearby hospital. The Wizards’ reserve forward (appearing in 7 games) was then subsequently notified of his immediate termination by a team official. While the Philadelphia Eagles followed suit in acknowledging Mills’ deplorable conduct, they’ve decided to keep it a private (punitive) matter and not rush a final resolution. It’s worth noting that Mills is far more important to the Eagles than Robinson was to the Wizards’. The 6-foot-8, 200-pound Robinson spent the majority of this past season in the G League, suiting up for a meager 7 games on limited minutes.